The printer uses Thermal Technology and Capsule Paper. Braille and graphics are made in one easy step as the printer heats up the Capsule Paper. 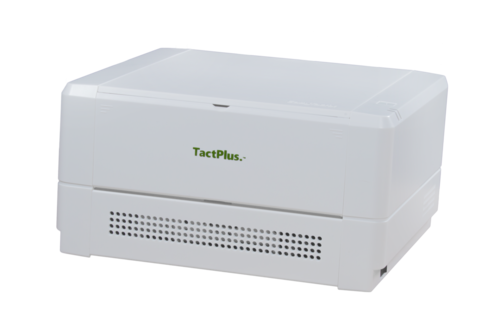 “As a Braille printer, TactPlus improves the quality of life for individuals with visual impairments. The printer is small and lightweight and can be easily taken on the go.